Courtney + Blake live (and spend a lot of time) in downtown Minneapolis. 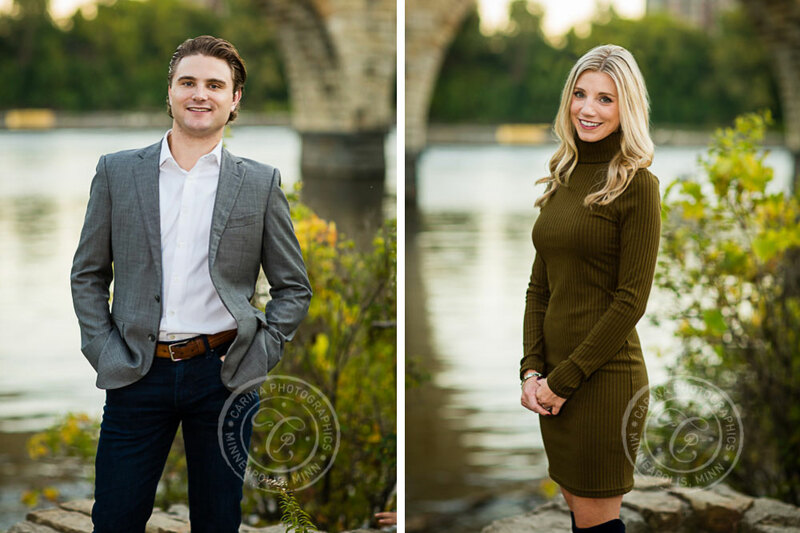 They wanted quintessential Minneapolis engagement photography, so the Stone Arch Bridge fit the bill perfectly. 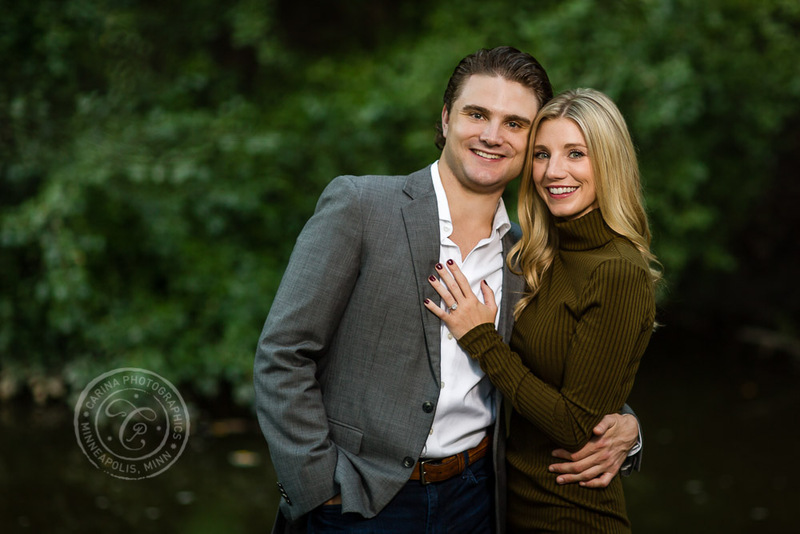 I proposed Father Hennepin Bluff Park engagement photography, as there are so many gorgeous locations which feature the Stone Arch Bridge in the background, and the addition of the river and trees would for such beautiful engagement photos. They agreed in a heartbeat! We visited Father Hennepin Bluff Park in the early fall. The leaves were changing and the sun was getting lower in the sky. The park was ablaze with the golden sun, cool river, and fall colors. It was absolutely gorgeous for our session! The crowds of people filling the park and bridge were evidence that many Minneapolis folks felt the same way. 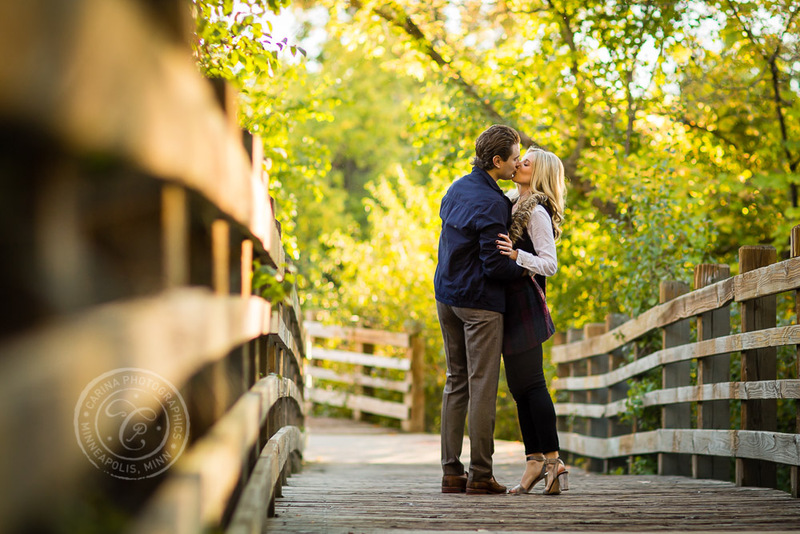 We had such a great time meandering through the beautiful park and creating amazing engagement portraits together. 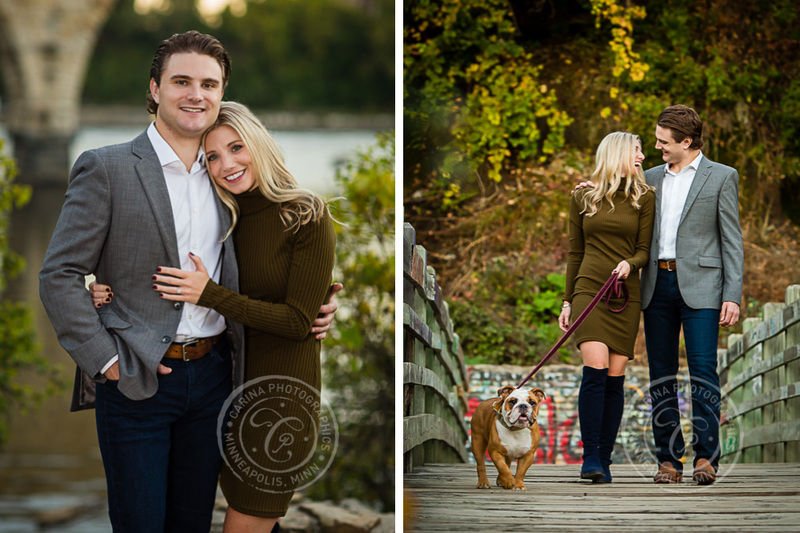 Courtney + Blake also wanted to include their sweet dog Jágr into the photos. 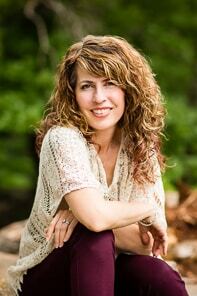 She was so patient and cooperative for the session – a real trooper! 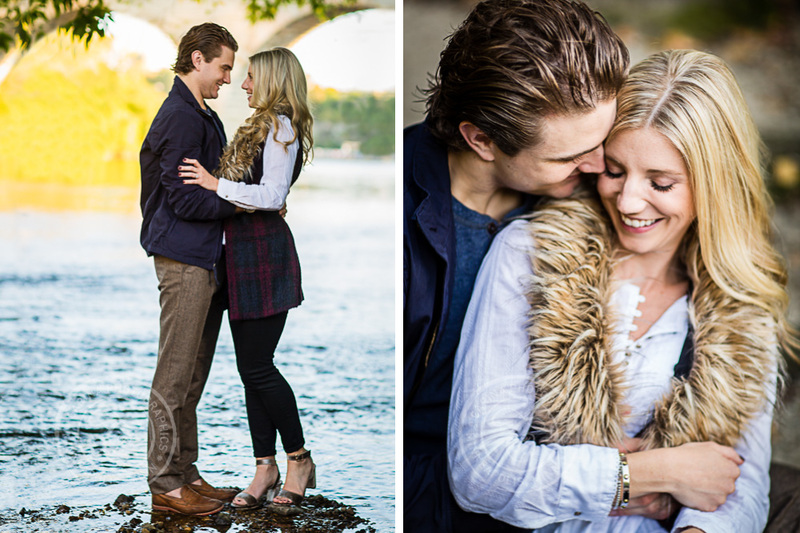 Courtney + Blake, thank you so much for choosing to work with me for your Minneapolis engagement photography. 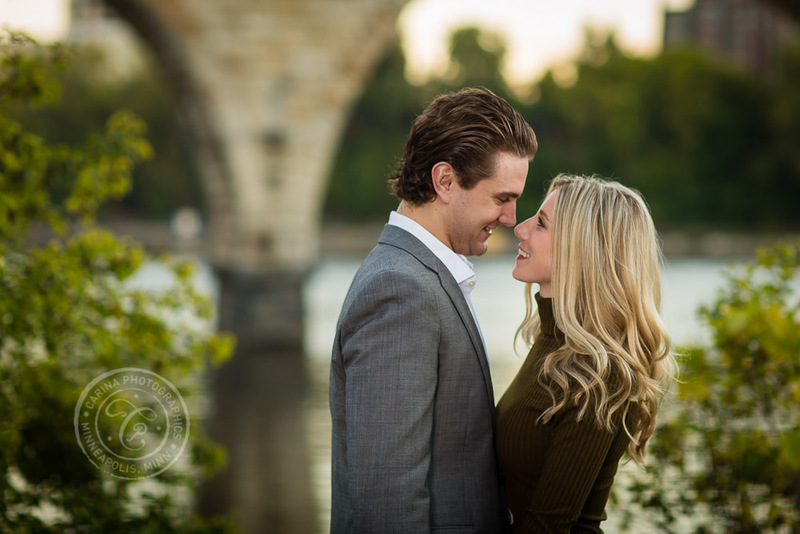 I loved your Stone Arch Bridge prewedding photography! I am so happy for the two of you, and so excited for your wedding next year. Courtney, your parent’s farm will be such a gorgeous backdrop as you both tie the knot. I am excited to see the barn in all it’s wedding day glory! ETA: Make sure to check out Courtney + Blake’s gorgeous rustic farm wedding photography too! 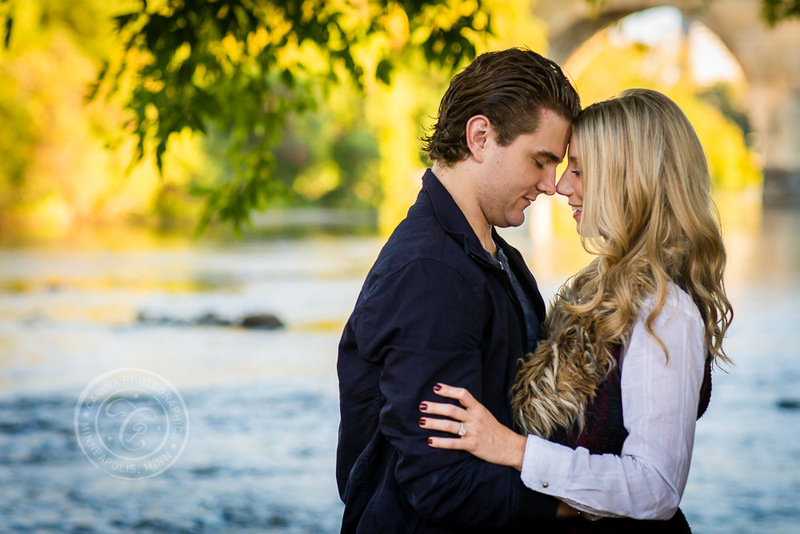 If you’re planning for Stone Arch Bridge engagement photography, contact me soon! Beautiful couple and very special photos. Great photographer! Love you both!